Born in 1901, to parents William Henry Osborne and Maria Leaper. 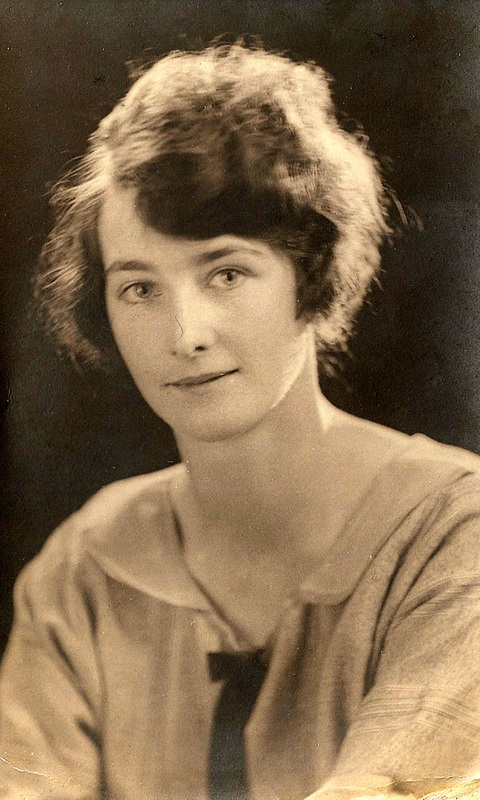 Maggie was the youngest of the couple’s six children. 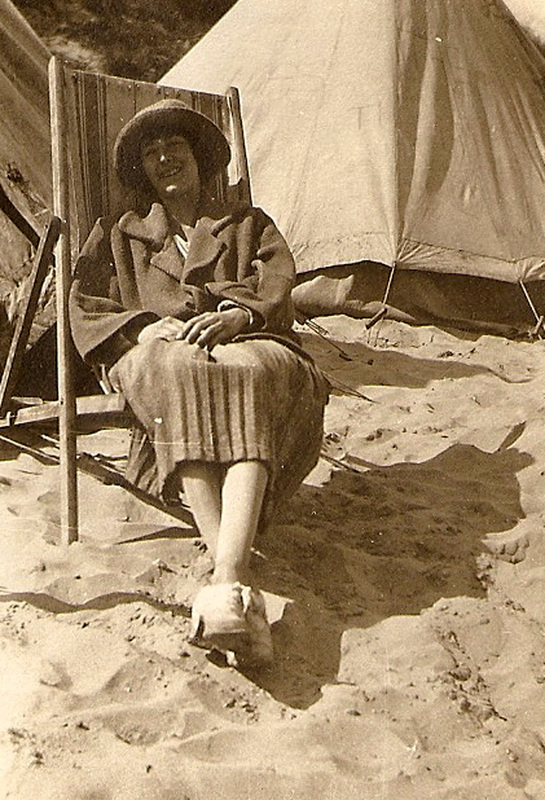 Roseanor married George William Skeggs in 1910, and went on to have 2 daughters. She stayed close to her parents home, until her death age 75. Known as Sally, she never married. However she took up a career as a nurse / first aider, working at Bournes Factory, in Netherfield, Notts. He married Marina Bowler in 1919, and went on to have 4 children. He served in WW1 and on his return worked as a builder. 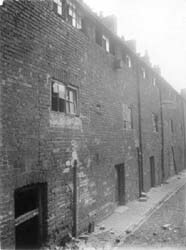 He worked at Lawrence's Furniture Manufacteurs in Netherfield, Notts and got saw dust on his lungs, which caused his early death. He married Edith (maiden name not known). They set up home in Gedling, but did not have any children. by a number of bridemaids, including her sisters. After the marriage, they purchased a new detached home in the Bakersfield / Carlton area of Nottingham. Soon after, their 1st son was born, it was a further 11 years before their 2nd son was born. Maggie was a home maker, and never worked. She died in 1972, a year after her husband. 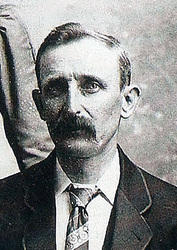 William Henry was born in 1862 at Kirkby in Ashfield to parents Hunter Osborne and Sarah Robinson, William was the youngest of their 5 children. She married Thomas Chadburn, and moved to Warwickshire where they had 9 children. He married Sarah Harvey, and had a son Alfred. Hunter, Sarah and Alfred all died 1883 / 1884.
who married Ann and worked as a labourer. They had 3 children. born Kirkby in Ashfield, and worked as a coal miner. During the 19th century, Kirkby changed from a fairly small agricultural based community to an industrial township. The area called East Kirkby - sometimes known as Kirkby Folly - developed and provided housing for the increased population. In 1853, the population had increased to 2,363 but by 1861 had jumped to 2,886. This last increase was caused by the further growth of mining in the area. In 1865 William’s father Hunter died, leaving his mother with two children under the age of 5. Left alone to raise young children, his mother Sarah remarried in 1868 to Joseph Williamson, a Frame smith. 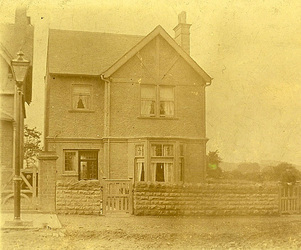 By 1871 Joseph and Sarah, and her 3 youngest children had set up home at Kirkby Folley, Kirkby in Ashfield, and Joseph taught William’s siblings the trade of a Frame Smith. By 1881 Joseph, Sarah and William had moved to Forrest Villa St, Kirkby in Ashfield. William had also taken up his step father’s occupation as a Frame smith. (A frame smith built the frame for Frame Work Knitting). William possibly moved to the east side of Nottingham, due to the expansion of the railways, as he met Maria Leaper who was resident at Carlton, Nott’m. 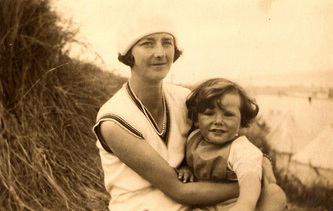 Their daughter Roseanor (Rosina Leaper) was born out of wedlock in the summer of 1887. The couple married on Christmas Day in 1887, a few months after his mother’s death in October 1887. Christmas day was often a "free" day where you didn't have to pay the minister for the fee for marriage. It would have been one day of the year when all the families would have been able to celebrate together as they would not have had to work. Their daughter “Sally was born in 1890, and around 1891 William and Maria moved to Heanor, due to the growth of the railways in that area, as in 1890 the Midland Railway opened a branch line from Ripley to Heanor (Midland Road), with station at "Crosshill & Codnor". In 1891 the Great Northern opened a line from Ilkeston to Heanor (Heanor Gate), with station also at Marlpool. The family had set up home on Loscoe Rd, Heanor, and William was working as a Railway Porter. By 1892, they had moved back to Carlton, where their son Hunter was born on 25 December 1992, followed by William (1895), John (1898) and Maggie in 1901. In 1901 they were living at Park Road Carlton. William had also been promoted to a Railway Fuel Man. A fuel man was a Railway employee in the Mechanical Branch in a Locomotive Depot. He fuelled the Locomotives either by shovel or from under a drop bin. In late 1901 they moved into the newly home in Orlando Drive, Carlton where William and Maria raised their 6 children. Sadly their son William (jnr) died in 1911. By 1928 William was still working, now as a Railway Tool repairer. William died in 1932 age 70 at Carlton, Notts. Hunter Osborne was born at Glasgow, Scotland in 1814 to parents John and Margaret Osborne (maiden name not known). He was the 2nd of the couple’s 7 children. William Osborne (1813 Glasgow – 1875 Notts) who worked as a Draper and Preacher. He married Elizabeth Smith and had 5 children. Luke Osborne (1818 Notts – 1883) who worked as a Framework Knitter. He married Martha Parker and had 7 children. 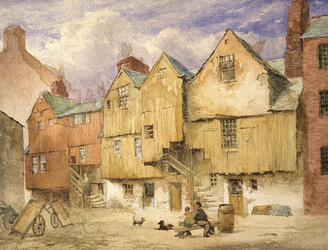 John Kennady Osborne (1820) worked as a house painter. James Osborne (1823), who worked as a Framework Knitter and silk glover maker. 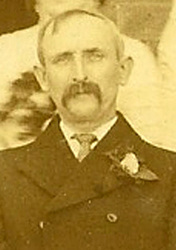 Mark Osborne (1825 – 1900) who worked as a Framework Knitter, he married Ann Bonsar and had 6 children. 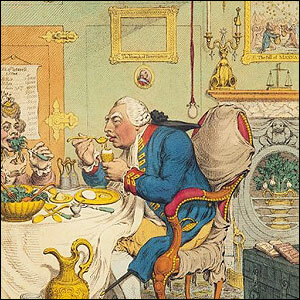 At the time of Hunter’s birth in 1814, George III was King. 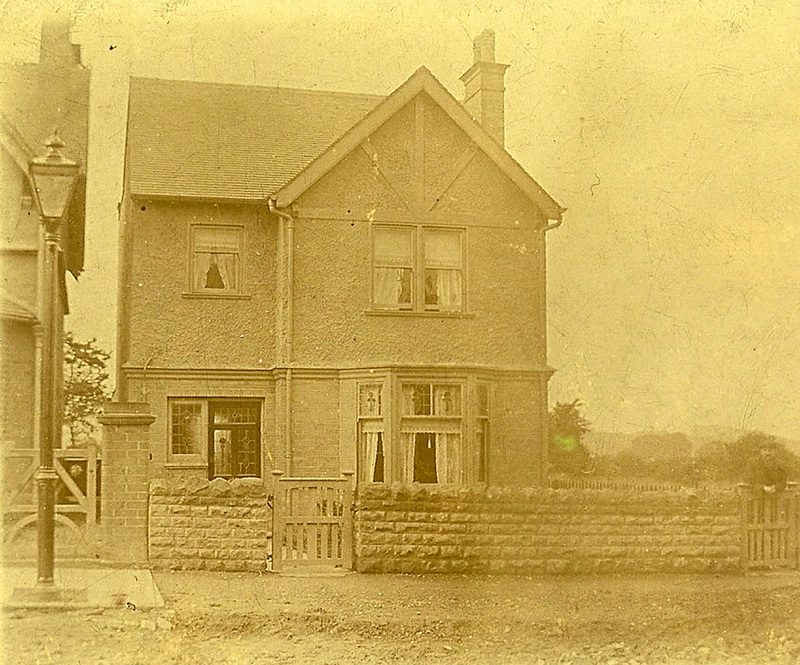 Age 4, Hunter moved to Nottinghamshire, where he lived with his parents and siblings at Sutton in Ashfield until the mid 1820s, then Kirkby in Ashfield. His family were all employed as Frame Work Knitters, a traditional East Midlands occupation. Hunter married Sarah Robinson on 21 Jan 1839 at Kirkby in Ashfield Parish Church. 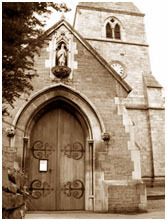 Kirkby's parish church is dedicated to St. Wilfrid, although occasionally in the past it has been referred to as St Luke's. The couple set up home in Bleak Hall Buildings at Kirkby, Bleak Hall is thought to have been at Hill Top, in the parish of Kirkby in Ashfield. Both Hunter and Sarah worked as Framework knitters. During the 19th century, Kirkby changed from a fairly small agricultural based community to an industrial township. The area called East Kirkby - sometimes known as Kirkby Folly - developed and provided housing for the increased population. In 1831, the population of Kirkby was 2,032, which was made up from farmers, tradesmen, framework knitters and a small number of miners, working at the Portland Colliery. Sarah and Hunter went on to have 5 children at Bleak Hall, Louisa was born in July 1839, 7 months after her parent’s wedding indicating Sarah was pregnant at the time of her marriage, Hunter (1841), Thomas (1846), John (1859) and William Henry (1862). Unfortunately Hunter died in 1865 at Kirkby age 50 of inflammation of the liver. and Benjamin Osborne (1785) who married Elizabeth Pinder and had 9 children. I believe John moved to Glasgow in his teens, possibly looking for work. During these years Glasgow was transformed from a small merchant town into a burgeoning industrial city, growing rapidly in size to become the powerhouse of the Scottish economy. Industrial and technical innovation fostered this expansion and many people were attracted to the city in search of work, not just from rural Scotland but also from England and Ireland. 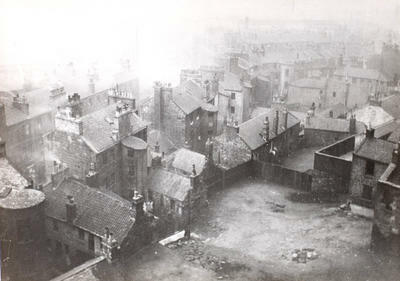 Between 1750 and 1821 Glasgow's population exploded from just fewer than 32,000 to over 147,000 people. A third of this increase took place in the last decade. Here he met Margaret (maiden name not known – but born Scotland), married (details not known) and had his 1st two children William and Hunter. Massive immigration combined with insecurity of employment and bad housing, were the ingredients for chronic public health problems. By the end of the 18th century, smallpox was responsible for almost 19 per cent of deaths in Glasgow. Inevitably, overcrowding and pollution in Glasgow provided a perfect breeding ground for disease. Poverty caused by cyclical unemployment created further health problems through malnutrition that lowered resistance to disease. It was perhaps no coincidence that the first of several major typhus epidemics in Glasgow occurred during the economic depression following the Napoleonic Wars in 1816. Affluent Glaswegians retreated westwards, but there was little opportunity of escape or of medical help for the poor. The onset of steam power from 1800 shrouded the industrial districts in a permanent pall of smoke. The typhus epidemic of 1817-1818 further eroded the city's 18th century image of salubrity; the disease thrived in squalid and overcrowded living conditions and tended to be most apparent at times of unemployment. Between 1814 and 1817 John and Margaret moved to Kirkby in Ashfield, possibly due to the unsanitary conditions in Glasgow, where their son Luke was born in 1818, followed by John, Samuel, James and Mark. At the time of the 1841 census they lived at Bleak Hall Buildings, Kirkby in Ashfield. John was employed as a Framework Knitter, which he continued to do into his 70s. Sadly his wife Margaret died in 1849, at by the time of the 1851 census John had moved to Church St, Kirkby in Ashfield, where he was living alone. Sometime before 1861 John married his second wife Ann, and by 1861 they lived at Swan St, Sutton in Ashfield. Swan Street was named after the Swan Inn, which dated from the 16th century. Swan Street was demolished and the Shopping Centre built over it. The manufactures of cotton hosiery give employment to a great number of the inhabitants, there being upwards of 1,800 stocking frames in the village. Thomas Osborne was born 1742 at Mansfield, and baptised on 20 Sep 1742. His parents were James Osborn (note change in spelling of Osborne) and Alice Alvey. He was the eldest of the couples 7 children. Mansfield is said to have derived its name from the little stream called the Maun, which runs gently through it. The district around is full of interest, and the town itself (the scene of the old story of the ‘King and the Miller of Mansfield’) is worthy of notice. The finding of many Roman coins, including those of Vespasian, Constantine, and Marcus Aurelius, and the fact of a Roman villa having been discovered in the vicinity by the late Major Rooke, the antiquary, lead to the belief that Mansfield may have been a Roman station. Mansfield was listed in Domesday Book as a royal estate, and was the administrative centre for much of northern Nottinghamshire. 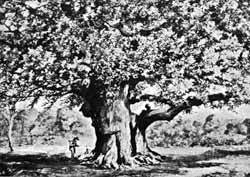 In the Middle Ages, it was the capital of Sherwood Forest, and its position made it an important trading centre. In the 1780s the town helped set the pace of the Industrial Revolution, and it developed at an astonishing rate over the next 150 years. Thomas Osborne married Elizabeth Gascoign at Sutton in Ashfield in 17 July 1773, at the time of the marriage both of them came from the Sutton in Ashfield parish, where the couple set up home and raised their 6 children. George was born in 1775, followed by Joseph (1776), Marcus (1780), Samuel (1782), Benjamin (1785) and John in 1789. James Osborn was born about 1716 at Mansfield, Notts. The exact dates and his parent details are not known. 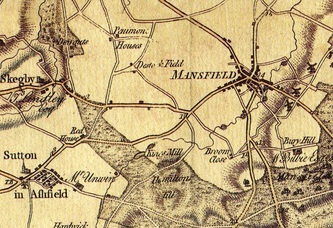 Prior to the middle of the 18th Century Mansfield was an isolated town, being surrounded by Sherwood Forest which was still populated with footpads and outlaws. 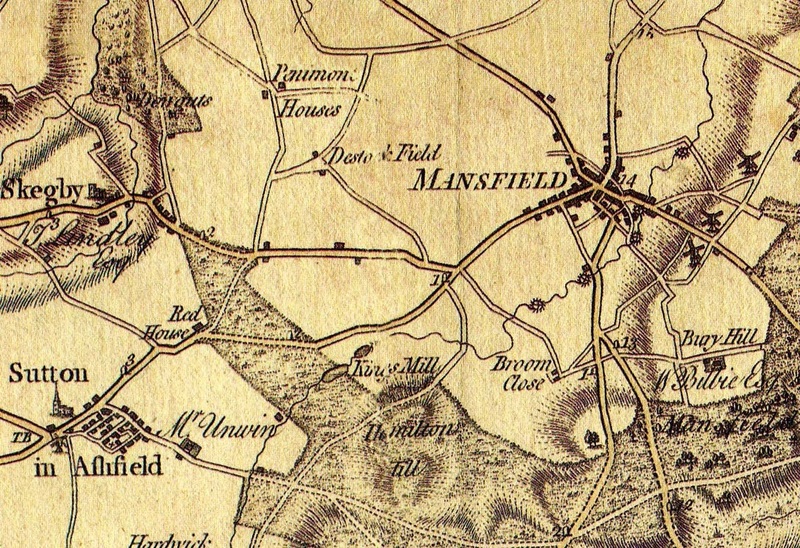 In 1700, almost the entire route between Mansfield and Nottingham ran through woodland. During their robberies, highwaymen carried several pistols to protect themselves and to terrify their victims, who usually offered little resistance. They took more than one weapon because of the notorious unreliability of the early flintlock pistols. Although shooting battles with their victims were rare, they did occur, especially when armed guards or soldiers were present. As a rule, however, a greater danger to the life of a seventeenth-century highwayman was a treacherous accomplice or other informer who betrayed him. This happened increasingly after the passage of the Highwayman Act of 1693 which accepted the evidence of an accomplice and guaranteed his freedom from prosecution, provided at least two of his confederates were convicted. 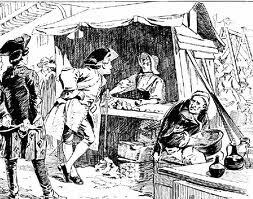 By the beginning of the 18th century, the 'profession' of highwayman was in decline. Many of the big names pushed their luck too far and were caught, tried and hung. The gradual spread of the Turnpike system imposed a certain amount of order on Britain's roads - toll-keepers would report any suspicious characters to the local Parish Constable. Stagecoaches and Royal Mail coaches carried a 'guard', usually armed with pistols and a blunderbuss, for the safety of the passengers and their belongings. On 7 Jan 1742 James Osborn married Alice Alvey at Mansfield. James’s occupation was listed as a Stone Mason. Stonemason’s possessed great skill to create the castles, cathedrals and palaces and the necessary sculpted works and ornaments demanded of their masters. Such skill must have seemed almost magical to the vast illiterate masses. They were clearly the elite of the labour force, had secret customs and marks and would have attracted some of the brightest non-educated recruits. After their marriage James and Alice stayed in Mansfield, where they raised their 7 children. Thomas was born in 1742, and christened on the 20th September, indicating Alice was pregnant at the time of their marriage. Then I have been unable to trace any more births for 10 years (which is unlikely), after this was Joseph in 1752, Jane (1754), Elizabeth (1757), Charles (1760), John (1762), and James (1764). James died in 1787, age 71.